EcoDistricts can be thought of as geographically defined areas, such as a neighborhoods, institutional campuses, or employment districts within which flows of energy, water, nutrients, resources, information, financial capital and cultural resources are localized, integrated and synergized. A city neighborhood or district can be seen as an urban ecology, made up of hardware systems (buildings, streets, sidewalks, parks and pipes) and software systems (flows of energy, people, food, resources, financial and social capital, services and information) that function together as a whole system. Building on this notion, an EcoDistrict seeks to enhance this urban ecology, improving performance of both the hard and soft systems. Like the growth of cities, the infrastructure that supports urban lives has evolved over time into an arbitrary and inefficient patchwork. Applying sustainability to existing cities will require transforming the urban fabric, one district at a time. 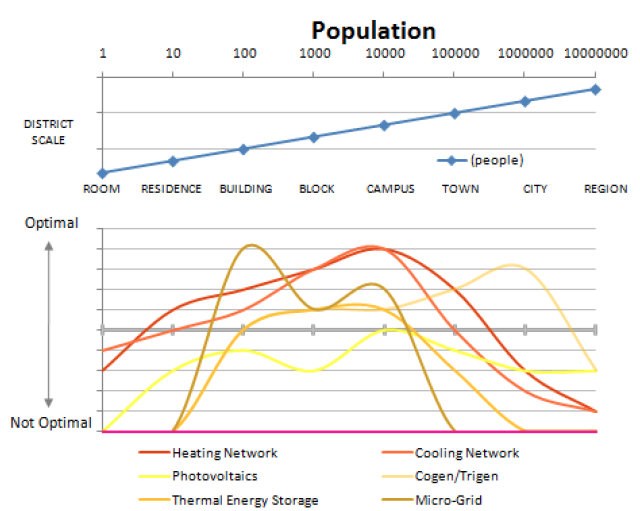 The key concept behind EcoDistrict thinking is that different systems optimize at different scales. 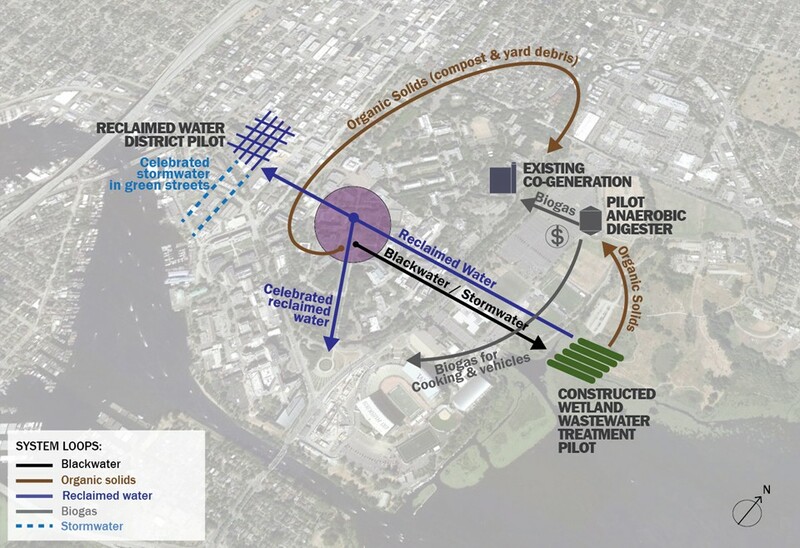 For example, stormwater collection and reuse systems might function best when shared by property owners within a several block radius of each other, or within a distinct watershed. Likewise, energy-efficient central-mechanical plants that provide thermal energy (heating and/or cooling) will more likely be most economical when scaled to serve a cluster of high-performing buildings rather than just one. By enabling the enrollment of numerous properties in a solar group purchase, which secures discounted pricing. Solar group purchasing can greatly reduce the costs of installing solar by leveraging the collective purchasing power of individuals, businesses, or municipal agencies to secure discounted pricing by buying in bulk. Facilitating community-shared solar, shared photovoltaic systems supplying electricity to multiple customers. Participating customers pay to subscribe to a portion of the solar system itself or it’s output. As the system produces electricity, they receive credit on their energy bill based on their pro rata share. As with on-site solar, the electricity produced by the system offsets charges for the participant’s monthly electricity use. Community shared solar does not require the solar system to be located on a participant’s property, however, allowing multiple participants to invest in and benefit from a single, centralized PV system. The EcoDistrict model will admit of a district energy system, which produces steam, heated water, and chilled water at a central plant and distributes the energy to multiple connected buildings, so they do not need to have their own boilers or chillers. 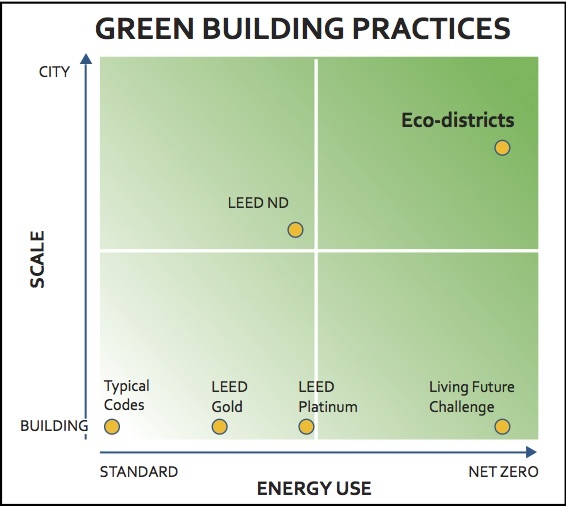 An advocacy workgroup at Rutgers University rated has rated Eco-Districts as compared to LEED-ND. San Francisco’s Central Corridor is only one of many Eco-District projects now in proposal stages throughout the United States. 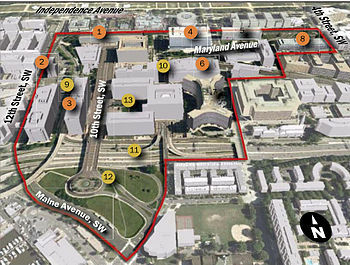 American advocates of EcoDistricts consider them to be the ‘next wave’ of green building and sustainable development. Precedents on the European continent include Hammarby Sjöstad in Stockholm, Vauban and Rieselfeld in Freiburg, Germany, and Bo01/Western Harbor in Malmö, Sweden.